Double 180gm vinyl LP pressing. Digitally remastered edition. Originally released in 1994 following a 14 year-long break up, Hell Freezes Over celebrates it's 25th anniversary with a remastered reissue. The album has been lovingly remastered by Bob Ludwig. It contains four studio tracks and eleven tracks recorded live in April 1994 for MTV. 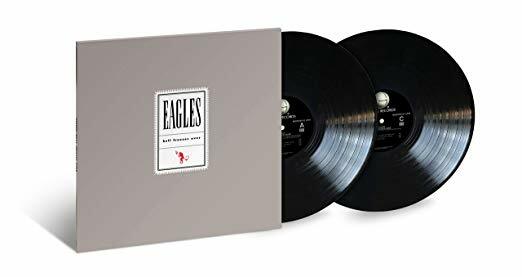 The band's lineup of this era: Glenn Frey, Don Henley, Don Felder, Joe Walsh, and Timothy B. Schmit and two Top 40 singles, 'Get Over It' and 'Love Will Keep Us Alive', were released from the record.